The Dating Chronicles is a social theater project focusing on the crazy world of dating, specifically dating in your 30’s, 40’s and so on. This is a musical that will follow, once it is written, the tumultuous stories of a couple…well, a guy and a girl. They haven’t met yet, but they are out there or online looking for love. We follow their journey of trying to find ‘the one’; the good, the bad, the awkward, the confusing until they are paired up online! Will it work? Will they be a match? Will they even like each other? Our team, Justin Taylor Nixon (Creative Director and Composer), Kate Ryan (Composer), and Stacey Ardelean along with Fuse Theatre (Producer) have set up a series of concerts to gain stories that will help to create the adventures of our lovesick couple. Join them on this exciting journey of bringing our collective stories to the stage in this dynamic musical. Future Concerts: The “gang” will be performing concerts in the Chicago area in the fall. With more original material and additional stories, we will begin shaping future characters to help and influence James and Sara through their Dating Chronicles! Writing Retreat: We are planning a writing retreat to develop the script and music for the musical. Staged-Readings: Once we have a script, we will be arranging fully produced staged readings. A staged reading usually involves the cast in a well-rehearsed presentation using scriptsand singing through the show without many of the technical aspects such as props, sets, or more than basic lighting. We hope to produce these both in Chicago and the Bay Area. 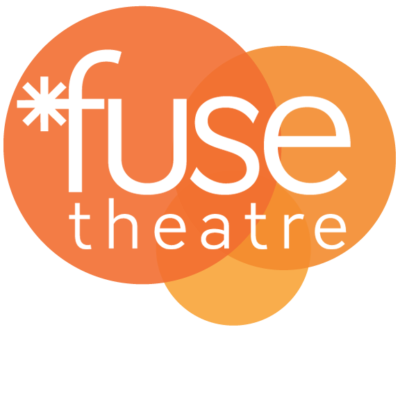 Contact Fuse’s Artistic Director, Stacey Ardelean, to become a sponsoring producer!